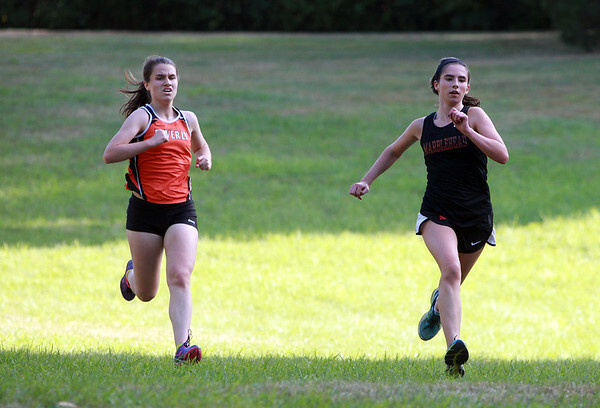 Marblehead junior Maura Honan, right, outraces Bevely junior Mikayla Macomber to the finish line on Tuesday afternoon. DAVID LE/Staff photo. 9/23/14.